On August 15, 2007, a local arcade by the name of Cactus Jack's set several items out by the curb that they deemed irrepairable. Among these items was a Williams Firepower pinball that was missing the playfield glass, all circuit boards, legs, and the backglass. The playfield had seen many years of play and there were several worn spots on it. 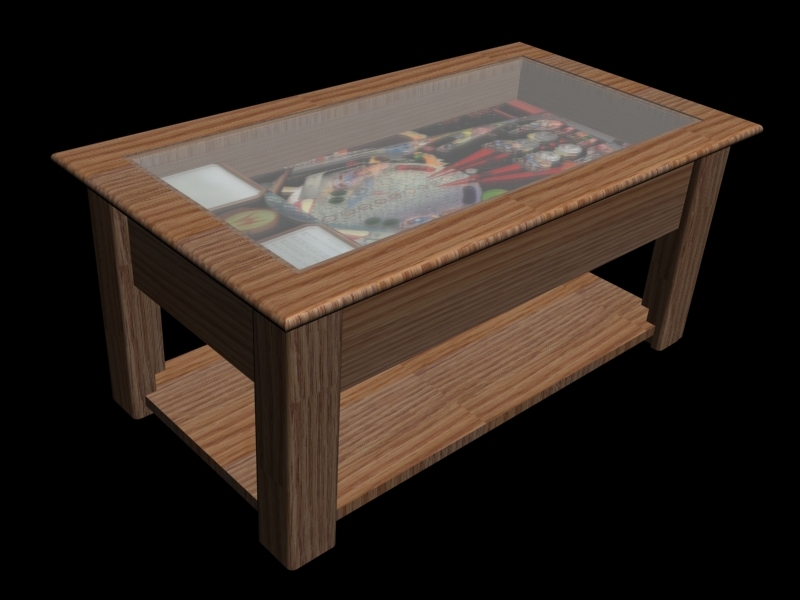 The playfield had a lot of character and that was something that I wanted to showcase. After building the table about four times in 3D on the computer, drawing out each board, cutting it, then fitting it together as I would in real life to make sure everything would fit correctly, I started cutting the wood.